Need help understanding men as an independent, successful woman? 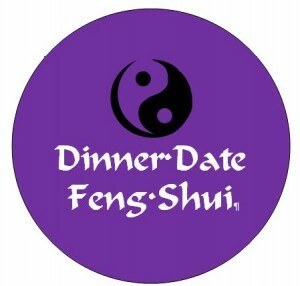 Try Dinner Date Feng Shui! This may seem surprising, but as a strong, independent woman, you have likely adopted some masculine traits unknowingly. The reasons are simple: Today women are self-sufficient, movers and shakers with successful careers. You know how to take charge, make things happen, and pay the bills – all traditionally masculine-related behaviors. I encounter this often as a Dating Coach and have found that while these behaviors work great for business, they can create an unnecessary stumbling block on the dating journey. Don’t get me wrong, I’m not suggesting that women shouldn’t be themselves, strong, or independent. However, there are real advantages to heightening your feminine charm during the first few dates and even longer. Knowing how to make way for a man nurture’s his ego and makes you that much more desirable. Unfortunately, dating hasn’t caught up with equality in the work place. Let’s examine this concept from a Feng Shui perspective. Feng Shui is the ancient art of harmonizing energy for the most auspicious and powerful outcome. Usually this refers to the placement of furniture in your home or office. But in dating, you can improve attraction by balancing the energy between the sexes. For example, who makes the reservation, talks to the maitre d, sits in the power seat or pays the bill? You’d be amazed at how these seemingly simple actions can impact the date, how attractive you are to each other and how well you get along. When it comes to understanding men, this will take you far. Typically, men opt for a chair with it’s back to the wall or situated with the best view of the room and the door. This is called the “command seat” and offers a man the greatest safety and power – a man with his back to the wall won’t get attacked from behind. The choice is instinctual and harkens back for centuries. Unfortunately, as a business women with an assertive personality, that’s the seat you want. But it’s not the best choice– because it usurps your date’s energetic place at the table. This is very subtle, but it can cause you to appear less feminine, not easy going, or worse still – competitive! That’s not very romantic. Instead, hang back and let your date take so he subconsciously feels important which bolsters his ego. And unless you’re a mob boss, you’re actually safe in any seat. While independence is a wonderful quality, communicating too much autonomy is a major turn off to men. Even today, men still want to feel needed and staunchly stated independence indicates you can do without him. Of course you don’t NEED him, but it’s nice to have a good man around or why else are you dating? Don’t push him away by being too self-sufficient. Understanding men, it’s good to let him in to let him feel useful. Many powerful women say they want a strong, masculine man. To attract such a man, start by allowing him to pursue you. Compare this concept to ballroom dancing where you can only have one leader and one follower. If both partners try to lead, you step on each others’ toes and two followers won’t work either for obvious reasons. One of each position is required for graceful dancing and for courtship too. If you follow his lead initially, you’ll be able to gather important information about who he is and how he feels about you. It’s not always easy to modify the chick-in-charge persona, but if you want a loving, balanced partnership between two strong individuals, these subtle energetic suggestions can make a huge difference. Keep in mind you aren’t being asked to give up your power, just modify when and how you use it. That goes a long way to help you with understanding men. 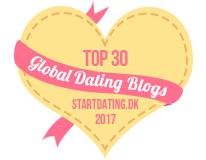 1) Let Him Talk to the Maitre D’ When you enter a restaurant with a date, he’ll likely let you walk in first. But don’t use your primary position as an opportunity to take over. Let him talk to the hostess or maitre d’ to say how many are in your party and put his name on the waiting list. 2) Let Him Take the Command Seat When the host seats you, avoid the chair in the command position leaving it open for your man. Not all tables haven an obvious seat of authority, like one in the middle of the floor. In most cases, the command position has one or more of these three characteristics: it looks out over the room, has a view of the door, or it’s back to the wall. 3) Let Him Order the Wine Even if you’re a real wine connoisseur, let your man take the lead in selecting a bottle. Feel free to contribute your ideas or tell him what you like, but let him order it from the wait staff. 4) Let Him Take Charge of the Bill When the bill comes, let your date look at it first, unless you have a prior arrangement to treat him. Even if you plan to split the bill – (but not on the first date!) you can still let him be “in charge” of the process. These simple steps allow a man to lead whether you’ve just started dating or if you’ve been together several years. Why risk emasculating your guy at any stage? Rely on these suggestions that use your feminine charm like women have for ages. For understanding men, know that supporting his masculinity builds his ego, which almost always works to your advantage. In most cases, a secure and happy man wants to make “his woman” happy too. Dating After Divorce: Where Are You Hiding Your Spirit? 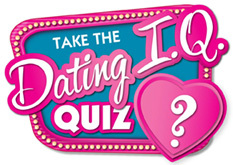 Dating Over 40: What’s Your Role in Dating as a Woman?